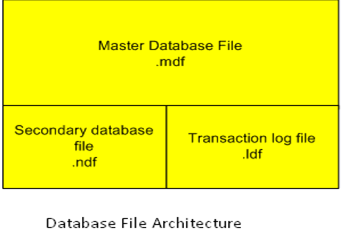 SQL server uses two types of files to store the database information. One or more database files and one or more transaction log files. 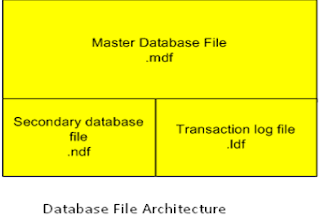 Database files : Primary data file with.mdf extension, secondary data file with .ndf extension and transaction log file with .ldf extension.